Before we owned our very own ColorKu, I was so intrigued by this game I bought one for our 10-year-old niece as a Christmas present. Soon after, I was offered a discount on some items of my choice in exchange for my honest review by the Timberdoodle Company, and of course, ColorKu was one of my picks. Throughout this review I’ll be explaining: What Colorku is all about, How to play, some Tips to help keep the frustration out of the game, and of course some of the many Benefits that come from regularly playing. Please keep in mind, I was not required to write a positive review by Timberdoodle and this review is an honest reflection of our family’s experience playing ColorKu. 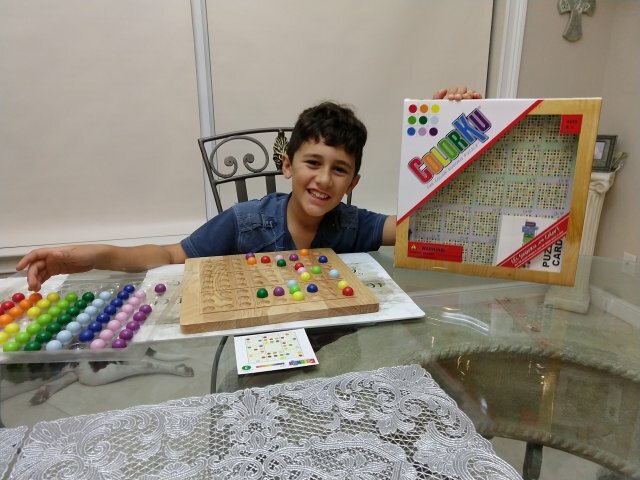 ColorKu is a fun and colorful game/puzzle made of a beautiful and well-constructed square wooden game board with 81 colored wooden balls. Why so many balls? Well, the 81 balls come in 9 different colors and each color has 9 balls. Confused yet? It’s really not as complicated as it sounds, so let’s break it down and show you a nice picture so you can have a visual before we talk more about ColorKu. Although ColorKu is a colored version of the Sudoku puzzle where colors take place of the Sudoku numbers, players don’t need to know how to play Sudoku to enjoy this mind sharpening logic game. 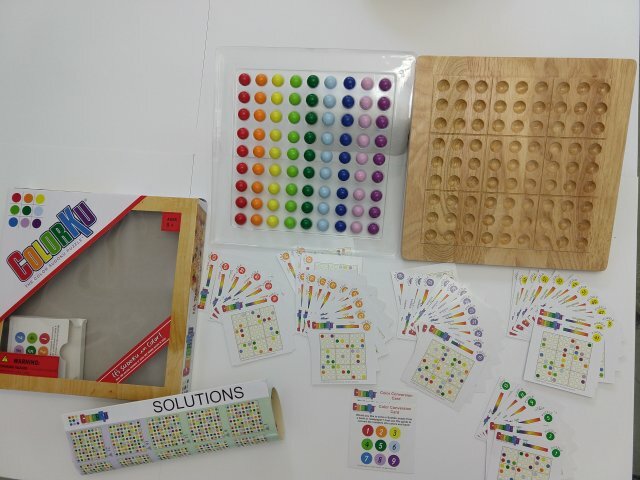 ColorKu is for ages 8+, however, this puzzle/game is also a great option for adults who want to keep their brain sharp, offering limitless hours of mind-bending, problem-solving exercise for people of almost all ages. Timberdoodle’s timing on introducing this puzzle/game is impeccable. The logic and deductive reasoning skills needed to solve each puzzle card of this game might come naturally to some kids, whereas for others, might present a challenge and at times this could translate into frustration. 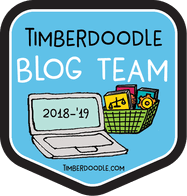 Timberdoodle includes ColorKu in their 4th-grade Curriculum Kit and based upon our experience, I find their grade placement makes complete sense. To play this game, kids need to use various thinking skills including but not limited to: Logic, Deductive Reasoning, and Strategic Problem-Solving. 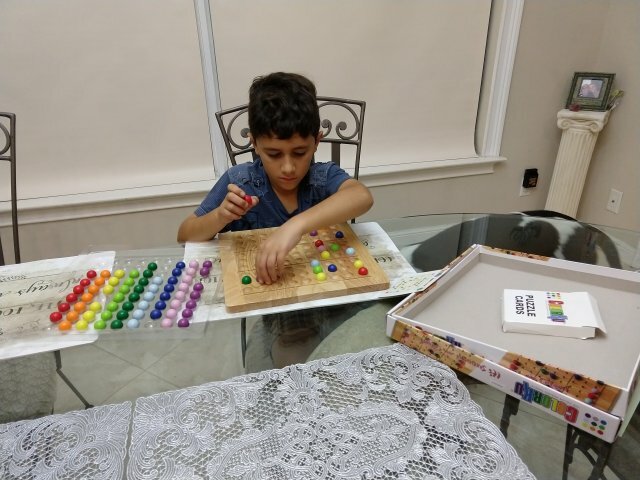 My son, an 8-year-old 3rd-grader, I must admit might not be 100% ready yet to solve these mind-bending puzzle/games on his own yet and for this reason, we are enjoying ColorKu as a family affair instead of him using it as a solitaire game. By including ColorKu in 4th-grade, Timberdoodle gives kids who need some extra time to mature the chance to do so. Step 1. To begin playing you’ll need to choose one of the 104 game cards and place the colored balls to match exactly how the card shows. (Each game card level of difficulty will increase together with its number). Step 2. 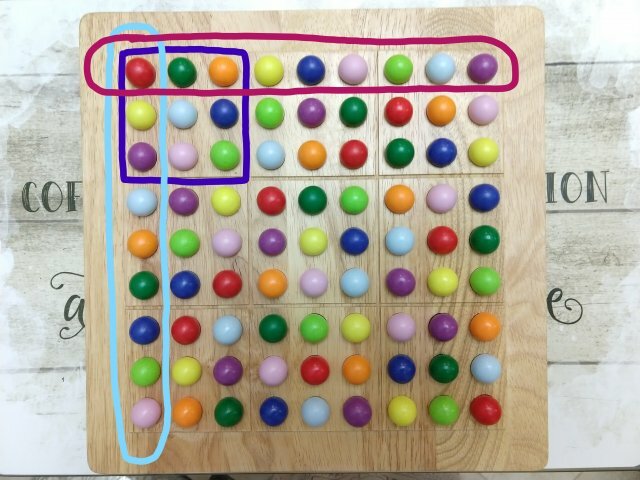 Methodically place the remaining colored balls in the empty spaces left on the board game, making sure that in each Row, Column and Square there are NO REPEATED colors. Tip! Only Place a ball when sure it’s the right spot! Bonus. In addition to the puzzle cards provided, you can also use the included ‘Color Conversion Card’ to convert any Sudoku puzzle found in the newspaper, books or online, into a ColorKu puzzle. As I started unboxing the game my son could hardly wait to begin playing. Between all the marble type balls this game includes and them being brightly colored, kids are instantly drawn to it. I have to be honest, when I first read the directions on how to play, my head was spinning as I found them a bit confusing. However, once we started placing the balls on the board it all made sense and we began playing our first game. Woah, what a challenge from already card #1! (in a good way). 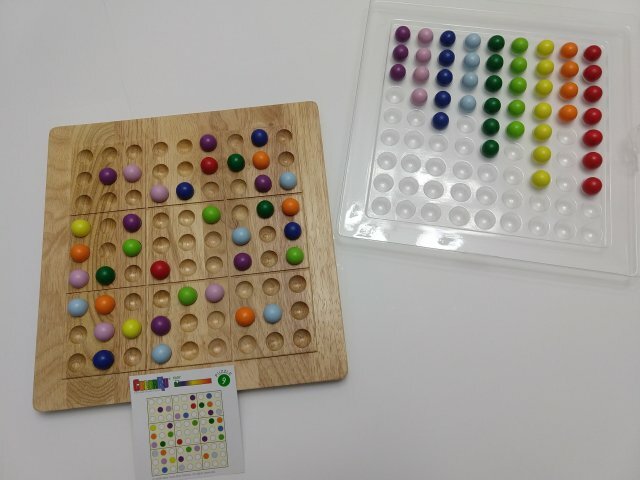 After placing the colored balls on the gameboard as the card showed, my son and I took turns placing a colored ball each into an empty spot paying attention not to repeat any colors in each Row, Column or Square. 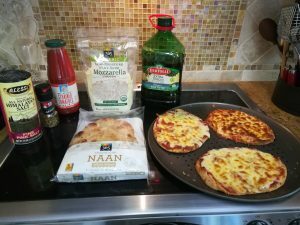 Now that was fun for both of us! After approximately 20 minutes of playing as we were approaching the end of our ball’s supply, we realize we did something wrong and were now stuck with a few repeated colors…Oh No!🤦‍♀️ Oh, the laughs we shared.😍 As we were brainstorming on what to do next and trying different ways to fix our mess, we were left with only one solution: Remove everything and start all over again. We eventually figured out how placing a ball in a “maybe” spot is never a good idea. At the 4th or 5th try (the day after), we only placed the colored balls we knew for “sure” had no other place to go and that’s how we were able to complete Puzzle #1 and four more with it. ColorKu can get pretty intense from the very 1st puzzle card and being able to solve each game requires lots of patience, concentration and a great amount of thinking skills. Sometimes this might pose a challenge for kids to truly enjoy the game, but the great developmental benefits this mind-bending game has to offer makes it all worth it. 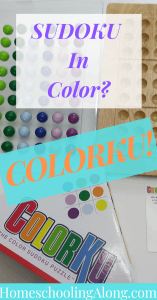 A few tips on how to keep kids engaged playing ColorKu. Solve a few puzzles before handing the puzzle over to the child. It’s a good idea before handing over this game to your child, trying to solve a few puzzle cards on your own to get a feel of the game. After our messy but fun 1st game, I realized I needed to get a better understanding of how to solve these puzzles so I could assist my children when in need. 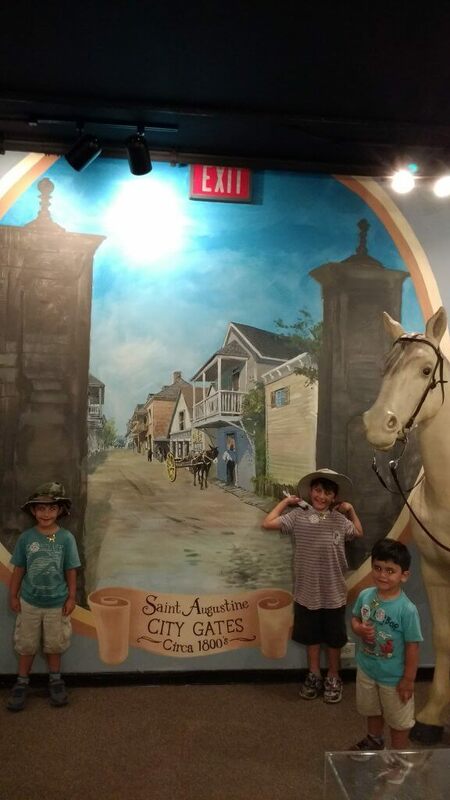 The good news is, once I started playing on my own I immediately got a hang of things and was now better equipped to help my kids if they got stuck during a game. The bad news is, after practicing I really don’t feel like sharing ColorKu with my kids because I can’t stop playing now! 😁 I Love, Love, Love this game! When I begin a puzzle/game I can hardly put it down until I’ve solved it, no matter how hard it is. Be ready to be addicted, it’s inevitable! Ease your child into the game. 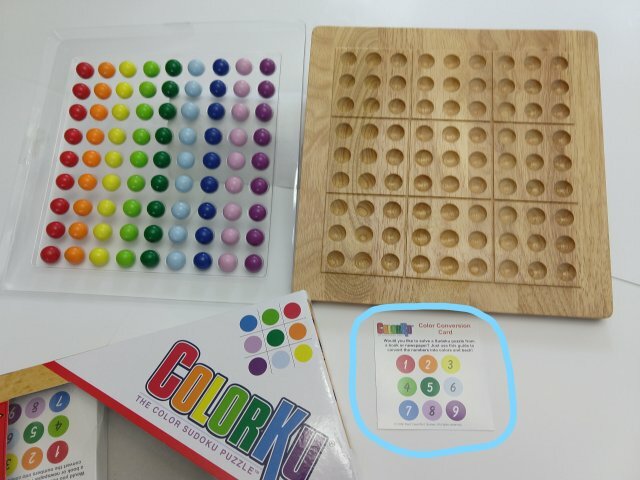 Because the ColorKu puzzle is not a fast solving game/puzzle and requires a great amount of logical thinking, some kids might initially find it frustrating and maybe too challenging to solve. A good strategy to help your child develop an interest and consecutively a passion for this mind-bending puzzle is to slowly ease them into it. How? Play while they are around, they’ll be bound to come over and watch you and ask to place a few balls. If you notice their ball placement is wrong don’t tell them instead, show them “another option” that might work even better.😉 This helps kids build their confidence as when we use the words no or wrong from the get-go, some kids get easily discouraged. Keeping this game out where is accessible will make it easier particularly with difficult puzzles that cannot be completed in one sitting. 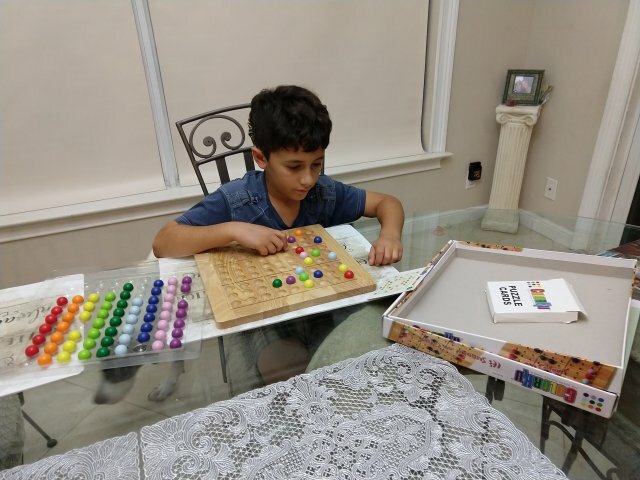 Keeping the game accessible throughout the day (maybe on the coffee table or end table by the couch) makes it easier for the child to go back to the game when he’s up to the challenge of cracking the code or maybe start a new game. 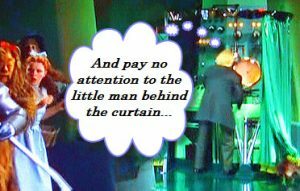 Another advice is walking away and giving the eyes a break from staring at the colored balls when they can’t figure out their next ball placement. This is suggested in the instructions and I highly recommend it as it has worked in our case. **Please Beware! The balls size of Colorku presents a chocking Hazard. In addition to its size, they are brightly colored and small children might be immediately drawn to them. If you have young children and plan on keeping this game accessible to their older siblings, please do so with caution, keeping it out of the young’s reach and use careful parental supervision. Organize information. Hand-eye coordination skills are needed for being able to place the balls on the gameboard matching the puzzle/card’s picture. Following directions and accuracy are also very important to organize this initial set-up. Make a plan. (Strategic-Thinking skills). Yes, we all know plans don’t always work but making a plan after observing the initial set-up is necessary in order to successfully solve the puzzles. Without a plan, the player will get frustrated going in circles. Learning how to process all this different information is bound to help our children to think critically. 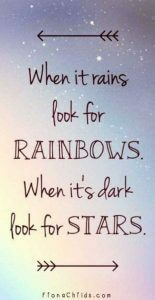 Simply put, ColorKu helps kids know how to think! ” In summary, the benefits of playing ColorKu greatly outweigh the initial difficulties some kids might encounter when learning the game “. – A little background on how ColorKu came about. The game/puzzle of ColorKu was inspired by Dr. Mark’s love and addiction to the Chinese Sudoku game. Over time he became frustrated by having to erase everything and start all over again when making a mistake solving the Sudoku puzzle on newspaper. One day he envisioned the game made in a tactile rainbow colored version, and so ColorKu was born. You can click here to read the ColorKu story, which is very fascinating and inspiring. The manufacturer mortgaged everything they had in order to make this game happen and it’s an inspirational and motivating story to tell our kids. Why? It’s a great testament of how following their dreams isn’t always easy but if they truly believe in them and themselves, they are bound to succeed. So very interesting. I will love this brain solving game ,I will put it on my birthday list. Glad to hear you found this game interesting. ColorKu is definitely a game for all ages and a great work out for the brain😁.